Choppy film with a brilliant first half that is ultimately somewhat ruined by some of the strangest, most ridiculous twists and turns I’ve ever seen in a movie so initially promising. 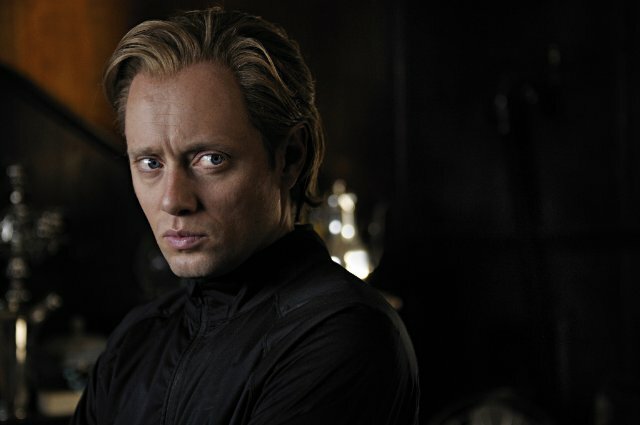 The set up is great, and the guy who plays the lead, Aksel Hennie, is such a good actor it’s shameful he isn’t more well-known, or in more stuff. He nails this performance from beginning to end, which is no easy feat given the ever-increasing insanity of the story. Keep an eye out for this guy; I predict good things, if he plays his cards right and the stars align and all that. The story, though, is a huge mess. The first hour or so is genius; it’s so engaging and suspenseful and unique and fun to watch that you start thinking, “wow, this might just be one of the best suspense movies I’ve ever seen! I sure hope it doesn’t screw itself over in some ridiculous way!” Great, great writing, directing, acting. There’s even a brilliant twist right before it all goes to hell that had me at the edge of my seat, heart pounding, eyes bulging out of my skull in anticipation. But then things are explained and the extreme violence starts and everything just gets silly. The plot ultimately doesn’t make all that much sense; **SPOILERS** something about the handsome guy from Game of Thrones wanting to kill our main character because he refused to give him a job at his company or something? And he’s an ex-soldier secretly working for a broke company that conveniently makes microscopic trackers, and tracking and murdering our main character will help him get the job somehow? Even though the main reason our main character didn’t give him the job in the first place is because handsome Game of Thrones guy couldn’t keep it in his pants and slept with the guy’s wife. Smart. They replaced the whole super interesting art heist subplot from the first half for this convoluted, nonsensical crap? Why, god, why? And the ending where the main character wraps everything up in a neat, yet extremely violent, little bow, and suffers virtually no consequences for his actions whatsoever? What?!? **END SPOILERS** Ugh. Still, the movie is never not entertaining, it just gets somewhat cartoonish and bombastic in its second half, which is disappointing given the gritty, restrained realism of the first half. Ultimately, I don’t know: it’s certainly not a great film, barely a good film, really losing itself in the tragic, tragic second half. But the first hour is so brilliant, and the strength of the main character’s performance so great, that I can’t help but recommend the thing. Just don’t let the promising first half fool you into thinking you’re in for something special. Thank you so much for this, Allen. (“,) Here’s to more great movies for you to watch (and tell us about).